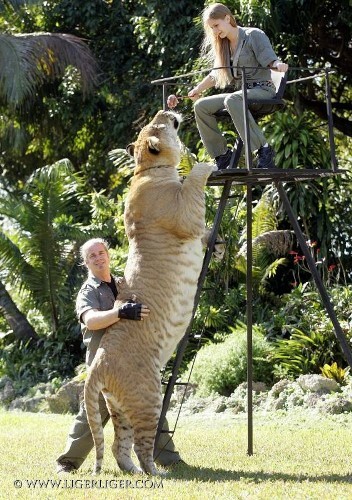 The weight liger will grow 1 kilogram in every second day. There is no need to wonder that it can weigh up to 165 kilogram in the first year. In the third years, liger has the weight of 320 kilogram. Liger is very famous with its enormous weight. 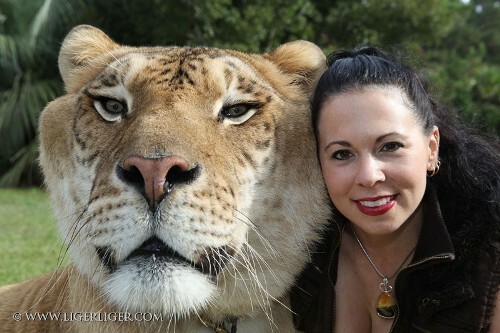 The biggest cat in the world is a liger cat named Hercules. It lives in Miami. 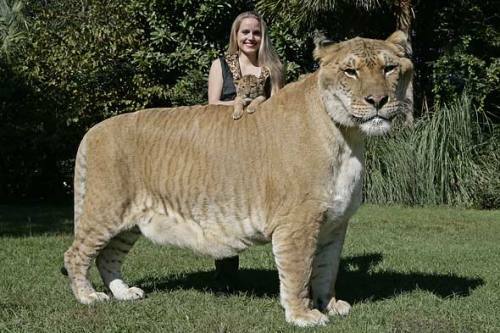 The weight of this liger is around 410 kilogram. Nook was the biggest cat living in Wisconsin. Actually this cat could beat the record of Hercules. However, he died in 2007. The weight of this cat is more than 550 kilogram. 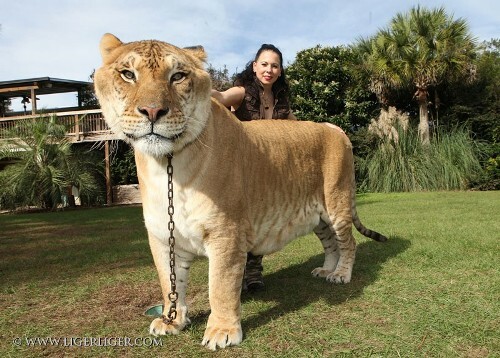 It is a surprising fact to know the breed of liger is as a result of an accident. Many people think that a liger has the traits of a tiger and lion. Actually it has more traits from a lion. Check tiger facts here. You can say that a liger shares some traits from a tiger because this animal loves to swim. You can find them swimming in the pool. On the other hand, a lion does not like swimming. Liger can roar too. In some cases, people believe that the roar of a liger represents the roar of a tiger and a lion. Can you tell me the speed of a liger when it is running? It can reach 50 miles per hour or 80 km per hour. The life span of a liger usually is very short because this animal is a hybrid product. The cat is very prone to diseases and cancers. You can see the appearance of a liger in a movie with the title Napoleon Dynamite in 2004. The movie presents liger as the favorite animal of Napoleon. Do you know that actually liger is hybrid cross product? The scientists get liger by crossing a tigress or Panthera Tigris with a male lion or Panthera Leo. Liger is a sociable animal just like lion. 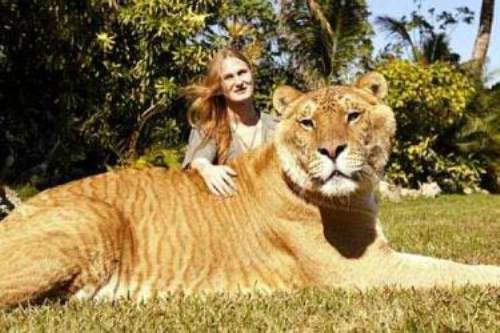 The tigress will gave birth to a liger which is bigger than the body of the parents. Are you interested reading facts about liger?